Adventure Calls Outfitters | What's a Duckie? "Duckies" are the more popular name for inflatable sit on top kayaks. Unlike the cheaply made vinyl versions that can be purchased at many large retail outlets, the boats that most professional outfitters use are made of the same high quality durable materials as our rafts. These boats are fairly stable, relatively easy to paddle, and lots of fun. Paddlers sit either cross-legged or with their legs outstretched on the inflated floor chamber, leaning against an inflatable back rest. They are primarily a single person craft but can be paddled by an adult and young child or by two younger teenagers as well. According to the manufacturers’ guidelines, Individuals weighing in excess of 300 lbs. are advised against paddling the boat. We use duckies at our Letchworth State Park site whenever the Genesee River is too low to raft, which is typically during the latter part of summer and early fall. 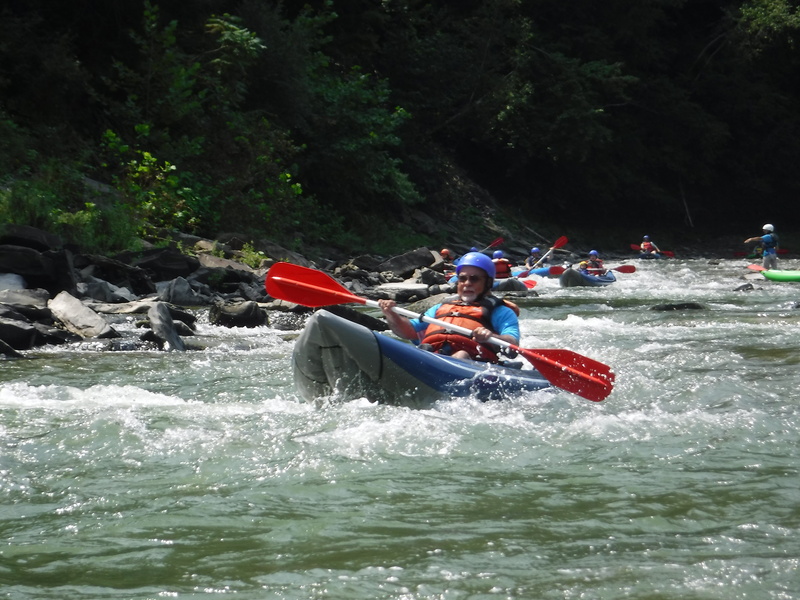 Also, when we are rafting, guests looking for a more exciting river trip at either Letchworth State Park or on the Salmon River are welcome to request them with advance notice instead of the rafts, provided the river conditions meet our safety guidelines for these small boats.